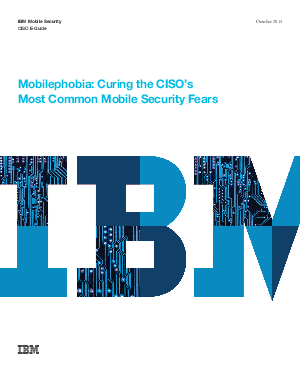 Let’s face it: Every CISO or head of IT security suffers to some extent from mobilephobia. Unlike many “phobias” that are linked to irrational fears, mobilephobia is based on rational fears and real threats. While these fears may not be debilitating to those who suffer from them, they can have serious consequences and result in delays in embracing mobile and deploying a mobile security strategy.